IMPORTANT NOTE REGARDING TICKET PURCHASES: The ticket website will automatically register you for 1 adult ticket on this page. Once you are taken to the next page where you can purchase “additional tickets”, you may then enter the amount of additional adult tickets in the appropriate box. Treat one of our pro bono clients and a chaperone to the baseball game! (Do not enter any number in the ticket boxes below). 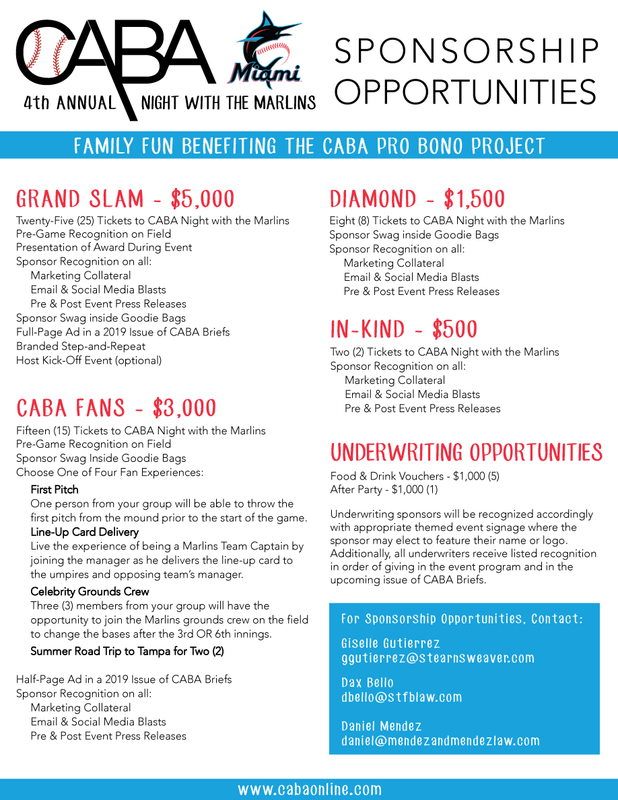 Click the image above to contact us about sponsorship opportunities. Copyright © 2017 Cuban American Bar Association, All rights reserved. 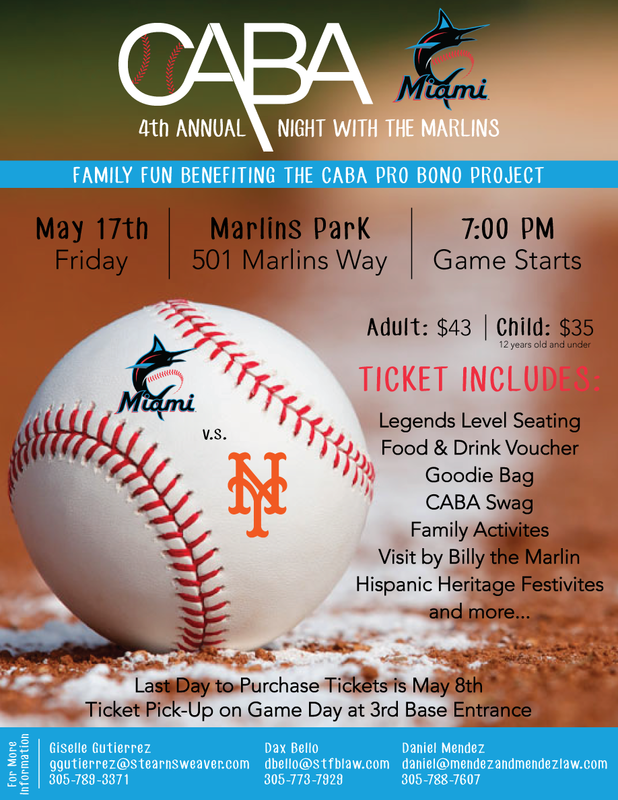 Cuban American Bar Association is a 501(c) non-profit organization.